As a rule, I can’t stand Christmas beauty gift sets thanks to abiding memories of being given them as a child and ending up with five bath pearls (very desirable to my young self), and sixteen silly soaps (not so much, soaps aren’t anywhere near as fun, even when elephant-shaped or sparkly or what not). That said, sets have come on leaps and bounds since I was a kid, and these are the ones I think are worth buying (either for yourself for the bargain as there’s usually one to be had, or for a loved one, both are to be encouraged during these dark, chilly days in my view) – and none of them have any fluffy fillers in them. Also, lest we overlook the obvious, they’re all easy to wrap because sets come in a lovely, rectangular cardboard box. Now that’s something to be joyous about. Neal’s Yard Remedies Beauty Sleep Collection / I don’t know anyone who isn’t tired, so I’d imagine this will be a surefire hit whoever you’re buying it for – though would probably be especially great for a new mum or someone who works long hours. It contains NYR’s dreamy (see what I did there?!) lavender and ylang ylang-scented body butter, face serum/oil, and pillow mist, all of which I regularly use and can give the thumbs up to. Aromatherapy Associates Ultimate Wellbeing Time / AA do a stellar job of Christmas sets every year and this is the best one they’ve made for 2017. 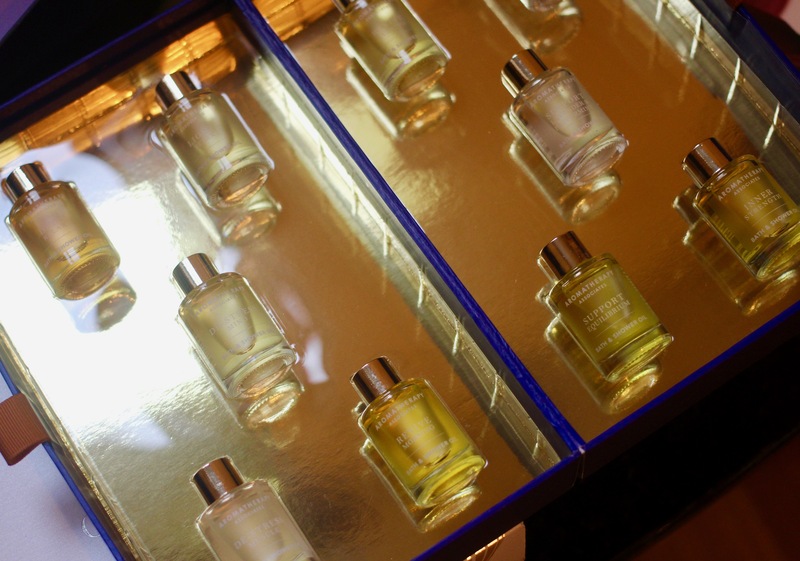 The box houses ten medium-sized bottles of their fantastic bath oils (I’m guessing you could get four baths out of one. These would also be a good buy for someone who travels a lot – on my recent trip to South Africa, I took minis on the plane and sniffed them en route to calm/revive as needed and they really helped. Korres Kings of Korres Shower Gels / This may not be the most inspired gift under the sun, but you can be sure that it will be both used and appreciated – with scents like Japanese Rose, Fig, and fizzy Santorini Vine (my favourite) suspended in the Korres gentle formulas, it would be hard not to feel that a shower with one of these is a bit of a daily treat. Jurlique Hand Cream Collection / Again, not novel, but extremely useful and really very good quality indeed. I always have Jurlique’s Lavender hand cream in my bedside drawer because it’s lovely and buttery and really makes hands feel cosseted. Each of the four in here will do the same stellar job of moisturising hands, while also being uplifting in the case of citrus, soothing (rose), or refreshing (jasmine). Also v good if you like a cream in your handbag as the packaging is ultra lightweight. Liz Earle Supercharge Your Glow / Get this for someone who’s just getting started on skincare, or for a firm Liz Earle fan – it contains her cult Polish & Cleanse Hot Cloth Cleanser, along with the tonic (which is my top LE buy), and the serum/oil to nourish all for a very fair £25. Omorovicza The Miracle Facial Set / That you get £140 of Omorovicza’s brilliant skincare for £80 piqued my interest, but I was sold on this not by the price tag but by the tight edit which is comprised of the Queen Of Hungary Mist (classic toner/face mist), Elemental Emulsion (a lightweight, nutrient-dense hydrator), and Miracle Facial Oil (a dream during winter months when everything whips moisture off your face). I would definitely give this awesome makeup gift to my best buddy on this Christmas. Great post! Thanks.